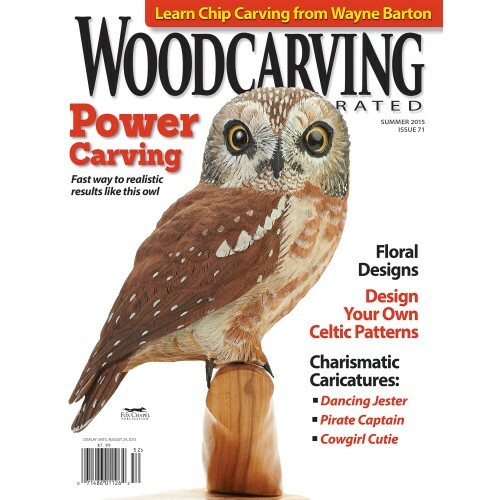 The 2015 Summer issue of Woodcarving Illustrated is now available. This issue is packed with projects, how-tos, patterns, and more. Whether you’re just getting started in the world of woodcarving or have been making chips for decades, Woodcarving Illustrated is the must-have manual designed to help you make the most of your carving time. Each issue is packed with projects, instructions, photos, tool reviews, tips, and techniques. Expert guidance from the world’s most talented artists and woodcarving instructors helps you to complete more projects and hone your skills. It’s easy to order and there’s absolutely NO cost or obligation! Get your FREE copy today!